Do you want to become an exceptional leader? Yes, I want to feel energised and enthusiastic about my role, know I am making a real difference to my business and my team and to sleep soundly at night. Oh, and actually, I want to have a life outside of work too. Do you want to position yourself for promotion to leader? Yes, I want the skills that will prepare me for a leader role and I want to walk into that role with absolute confidence and credibility so that my team will stand out as ambassadors for the business. Do you want to enhance your personal impact and presence? Yes, I want to have more personal impact and be able to stand up and present with confidence. 20 years in the business, working with thousands of senior and new leaders across the world, we know the hallmarks of great leaders. 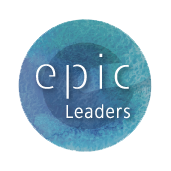 EPiC Leader and EPiC Senior Leader programmes are carefully crafted to equip you fully with all the essential skills and the freedom to lead with integrity. In other words, you can be a great leader and do it your way. Creating personal impact and presence, so that you can influence and speak with confidence is all about what is going on physically, mentally and emotionally. 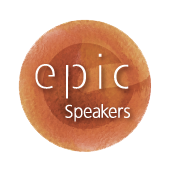 EPiC Speaker programme guides you through the physical, mental and emotional maze to release the authentic and energised you. You will grow in confidence enhancing all your important relationships by learning these skills that will carry you through your career and life. 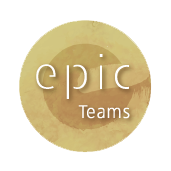 Teams come together when they know, like and trust each other. The Dream Manager Programme gives your team members the space and guidance to become the best version of themselves, in a group environment where the sharing of dreams and ambitions is the fulcrum to success. The Dream Manager Programme is one of the best and most encouraging ways we know to overcome diversity issues. The Performance Business Partnership has been helping clients to communicate since 2000. In that time, we have worked with organisations in every sector. From Finance to Engineering, Retail to Pharmaceutical and IT. We are experts at really understanding your environment, your unique challenges and your aspirations and we create practical programmes that work for you. Our investment is the same, whether addressing a localised need or a more global goal, we will give you the expertise and attention you need to make it happen. Michael provided coaching to a number of my direct reports and it was clear that there was a demonstrable improvement in performance as a result. Michael always delivers creative solutions and can be relied on to deliver results. With Lucy’s support, coaching and guidance, I have doubled my business in 2 years. The results are beyond what I could ever have imagined. Working with Lucy, I have defined my branding, made clear decisions about the direction the business is moving and have gained a reputation for excellent customer service for our clients. Today, my business is thriving and we have a waiting list of clients who really want to work with us. We have a unique brand presence. We live and breathe who we are and what we stand for. At a personal level, my confidence has grown exponentially. I know how to help my staff to flourish, even during the most busy and challenging times. I love the work that I do and I love to support my team in delivering beautiful bedrooms for our clients. Lucy challenges me, asks the most important questions and somehow manages to know what is going on in my mind, helping me to articulate exactly where the next step is going to be. The icing on the cake for me is the impact my work with Lucy has had on my family life. To work with someone who understands me as a whole person and has my back throughout, makes all the difference. Initially, we asked Michael to help our middle managers to increase their gravitas and leadership skills -- this was so effective that he worked across the whole company. I have worked with Lucy & The Performance Business for several years, and with a variety of clients - and highly recommend her… Lucy takes time to really understand her clients' business, their terminology and ethos, and adapts her style to deliver to the highest standard. As a coach, Lucy uses empathy married with incisive questioning to support others as they explore their challenges and decide upon their options for change. My role requires strong communication skills and a great deal of presence when dealing with suppliers and customers. Mike's unique and inventive approach added value from day one. His personality immediately put me at ease and I am sure his approach results in any one using his services feeling at ease and thus open up, experimenting and try new ways of working. He is very professional and of all the one to one coaches I have met, he is by far the most useful and value for money. Mike is a pleasure to work with and I strongly recommend him. Mike, I wanted to thank you very much for your training my clients. I found the insights you gave into how we layer our communication and what the impact just one missing component can have on authenticity and congruency fascinating and very insightful. As a group we're very sceptical and question everything, but the feedback has been very positive. If you're running any public workshops let me know and I'll invite the team along. They all finally recognised how crucial their behaviour and communication is in the selling situation, and how incongruence in any of the components can at best deliver a message of in consistency, and at worst, destroy trust completely. I can see substantial value in sales developing the skills we only touched on briefly. A great session. Thank you. 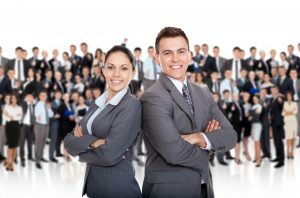 If you're reading this and you recognise the critical importance of effective, authentic communication, internally or externally, and your business depends on the quality of your communication, inviting Mike and Lucy to help your business will be a worthwhile investment and you will see immediate returns on your investment. Lucy is smart,articulate and fun to be around. She has that rare ability of being able to navigate her way through complex organisations whilst gaining sponsorship from multiple stakeholders to create solutions for the client. A true professional and a person I would recommend to others without hesitation. Mike has performed excellent work for me in what were constantly changing circumstances. He has consistently delivered and even surpassed what I expected; showing himself to be highly flexible and creative. Mike is totally reliable, trustworthy and he provides excellent insights from a developmental perspective. I enjoy working with Mike and would thoroughly recommend him to others as a personal trainer and coach. We understand that communication is central to your business. The communication flow should be sparking enthusiasm, the drive to succeed and a positive can-do environment. We would be delighted to listen to your needs, to advise where best to invest your attention in order to meet your short, medium and long-term goals and we will tailor an approach that will deliver for you. Our ethos is to provide you with the highest quality service with our responsive and friendly team.